In terms of a job application, one necessary tool that all applicants should have is a curriculum vitae. It is a written overview of an individual’s experience and other skills for an opportunity on the job applying for. A CV format template may also be requested for applicants to scholarships and other related programs. In a competitive job application market, it is always imperative to stand out. In order to achieve that, one should have a precise and well-made curriculum vitae. 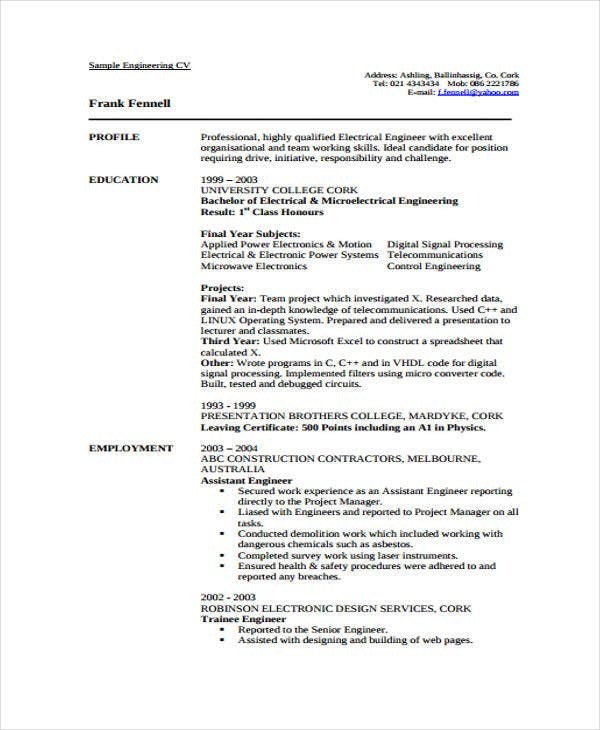 If you are eyeing an engineer position, then our list of best cv templates for engineers is what you need. The term “Engineer” is a general term. 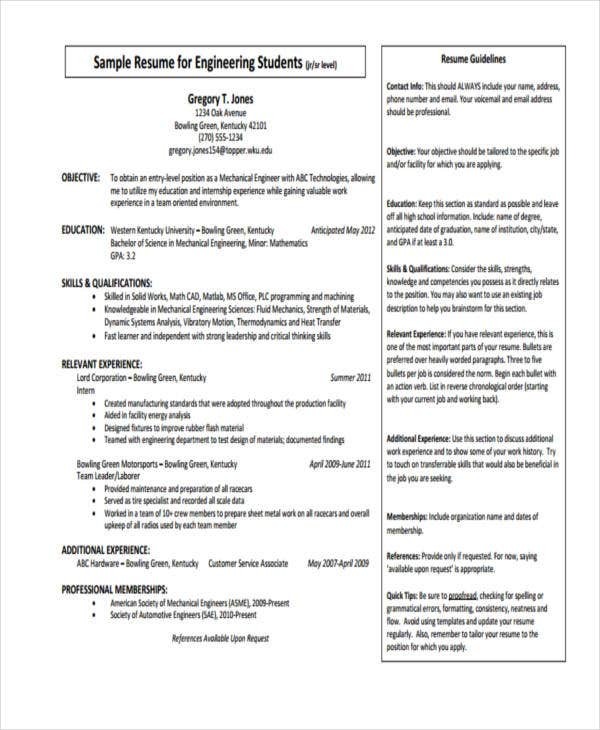 Here, we offer various engineer CV templates. This is to match a person’s preference when it comes to writing curriculum vitae. 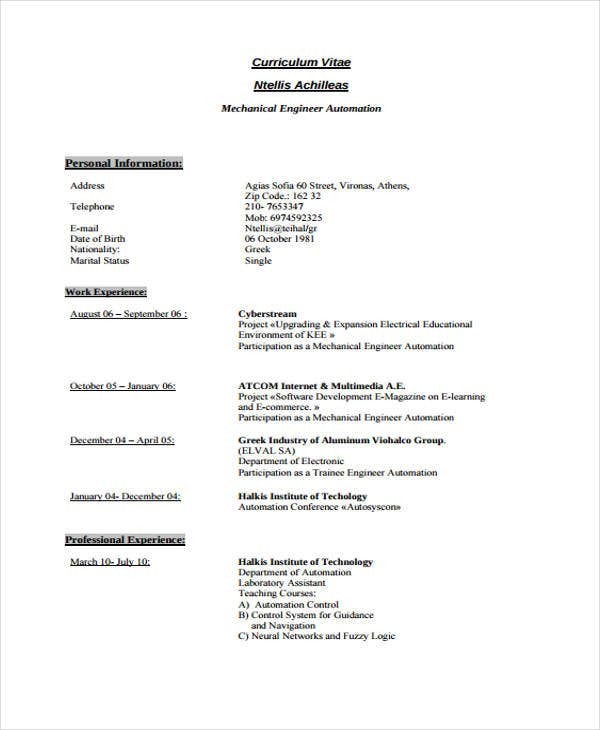 Check out below for more CV templates designated for different engineer job positions. 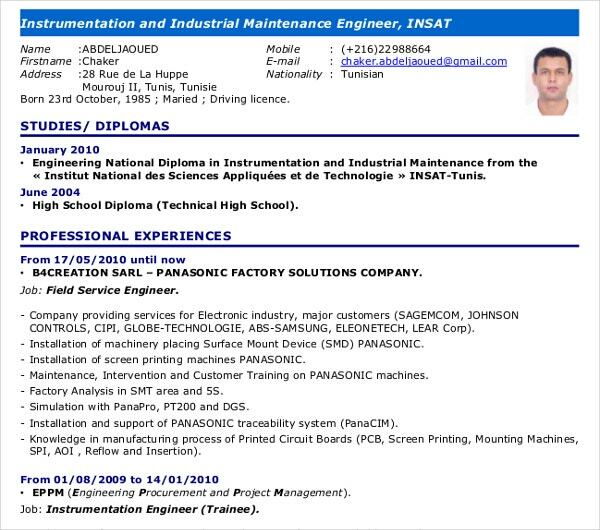 Entry Level Curriculum Vitae – Only just a little bit more substantial than a student curriculum vitae, this is great for those who are beginners in the engineering field. 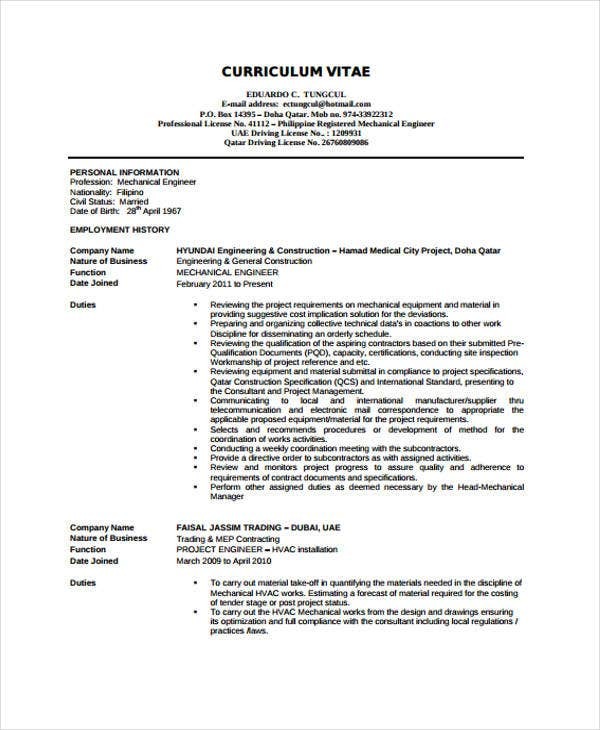 A curriculum vitae template that contains all needed information in an entry-level position. 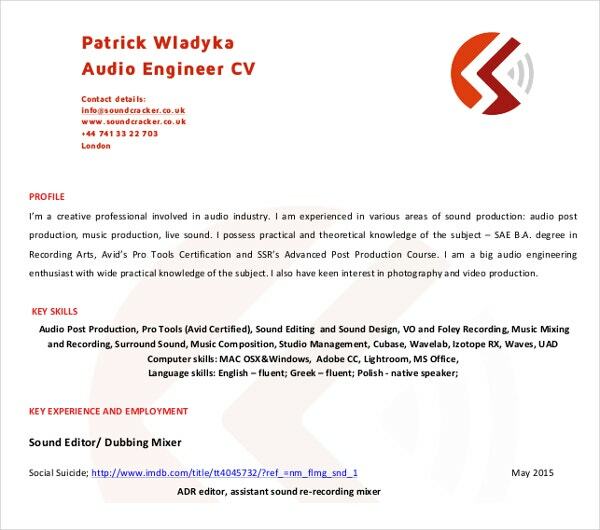 Senior Engineer Curriculum Vitae – For those with experience and are into designing and directing engineering projects on county roads and bridges, this CV is what you need. 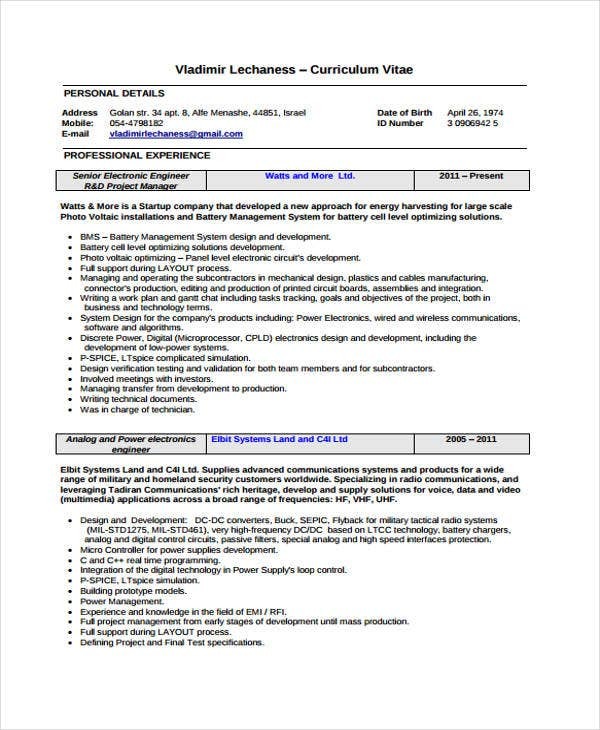 Project Engineer Curriculum Vitae – Ideal for people with engineer job background that specializes in technical disciplines involved in a project. This position also ensures projects are completed according to project plans. If these are your forte, then download this template now. 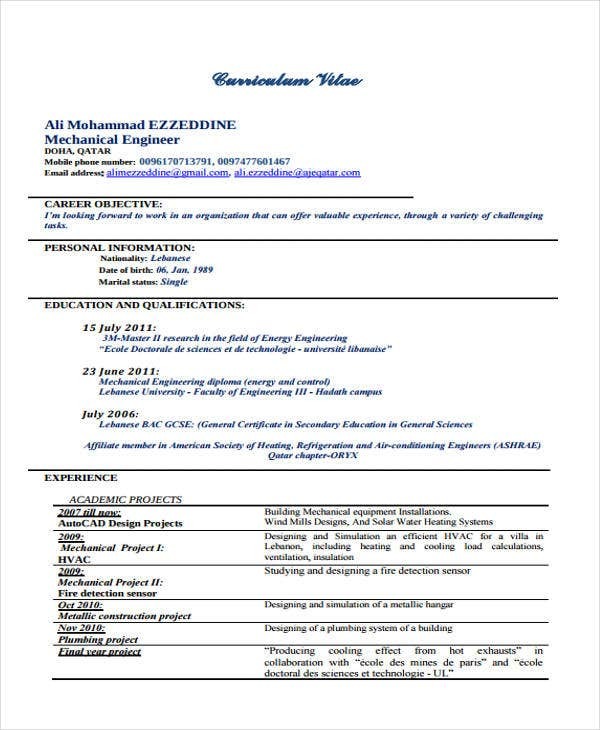 Telecommunication Engineer Curriculum Vitae – If you have experienced in providing a range of services and engineering solutions that revolve around various modes of communication, this job curriculum vitae (or even an IT curriculum vitae sample) is perfect for you. If you want to secure a spot for an interview, catching a prospective employer’s attention should be the main goal of every applicants. To achieve that, making a presentable and professional CV is always the key. 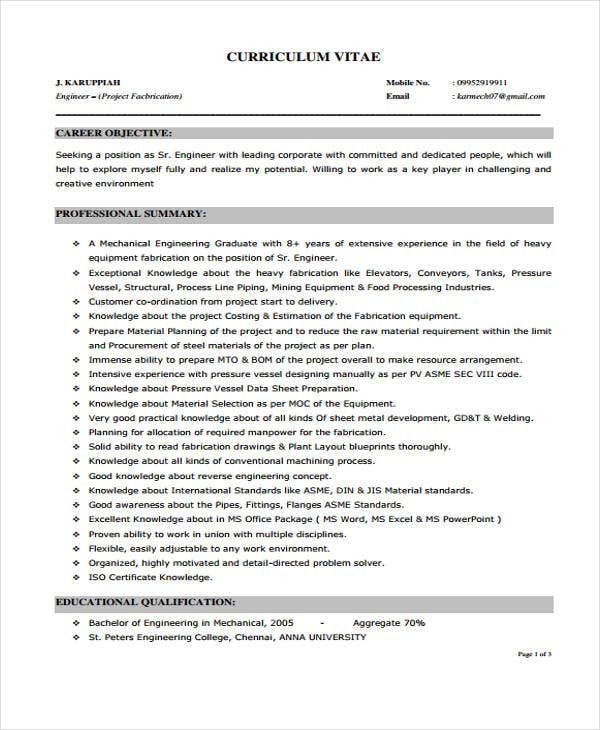 Here are some tips that you might want to follow for a great CV for Engineer. Think with accuracy. Accuracy is paramount when talking about engineering projects and this holds true when it comes to engineering curriculum vitae. It is highly important to have a well-prepared, professional resume with no typos and grammar mistakes. Be on point. As much as possible, avoid including details that are irrelevant to the job you are applying for. Highlight keywords and relevant details. Instead of the objectives, write down the summary. Add your qualification summary. This summary part should focus on your most marketable qualifications. 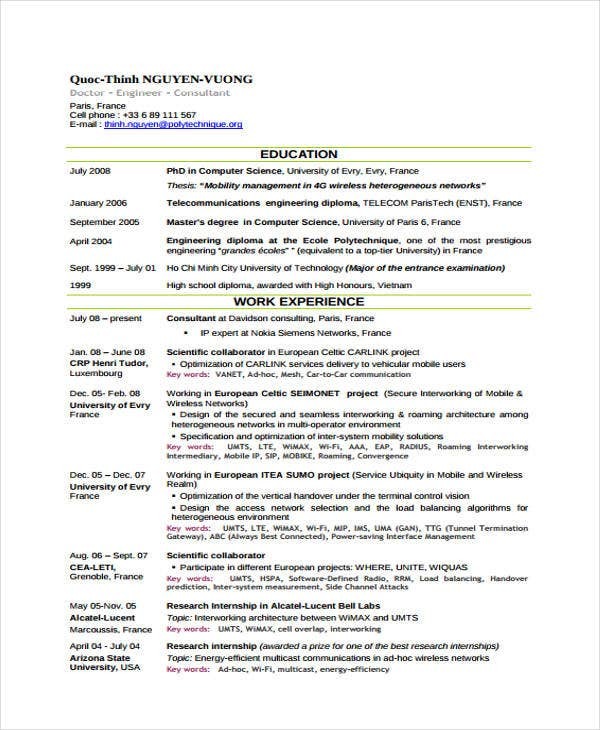 Connect the CV to the job you’re applying for. Customize the formal curriculum vitae you send to the certain role and engineering specialty you are targeting. So if you’re aiming for a managerial role, you can create a CV like these Executive Curriculum Vitae samples. Be authentic. Your CV should be irresistible but never misleading. A genuine and well-made resume will help you facilitate your job search. Standing out is what you need to keep in mind in terms of a job application. 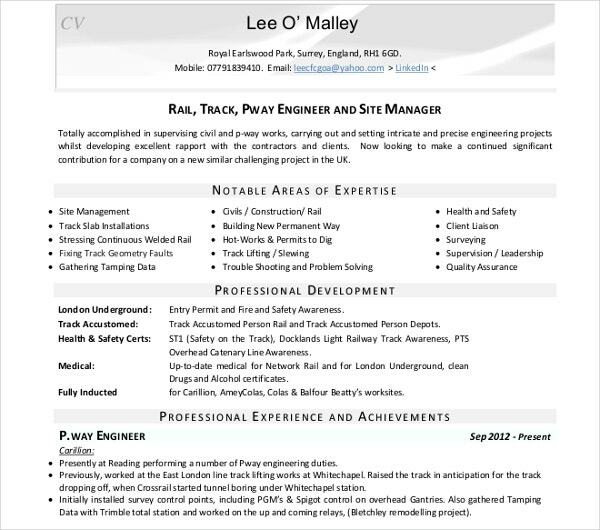 With these ready-made engineer CV templates, you can never go wrong.